I’ve been struggling with some conflicting thoughts over the last couple of weeks. Turns out I have somehow written two books: The Love Project (focused mainly on the dating and the project management methodology I used in my search for love) and The ‘Love’ Project (focused on reconciling my past with my present and with sorting out the intricacies of my parents’ relationship that had sabotaged my ability to get into a relationship of my own). Now, what does one do with two books on the same subject? After slaving away for four years, mentally and psychologically moving away from the original angle and writing a new book that still needs (a lot of!) work, I confess I don’t know how to move on from here. If I stick with the original angle, then I’d have to assume my accidental love expert role. This is something I’ve tried to avoid for a very long time, yet something that, in fact, I tried to do over the past few weeks. I figured I might as well help others run their own Love Projects, instead of waiting to figure out what to do with mine. So I created a Love Project Workbook and played with the idea of putting together a support programme to help others run their own Love Projects. I’ve been actively engaged in social media. I’ve sent out emails. I’ve started the groundwork for the framework. But I soon realised it wasn’t something that was aligned with the urges of my soul. Don’t get me wrong, I love helping others find love and transform the way I did during The Love Project, but I kind of hoped I’d do that through my writing and my story, rather than through coaching. I’ve realised something important and true, of stupendous simplicity. I am a writer. I love to write, to create, to put words together because of the way they make me feel when I write and the way they make you feel when you read. 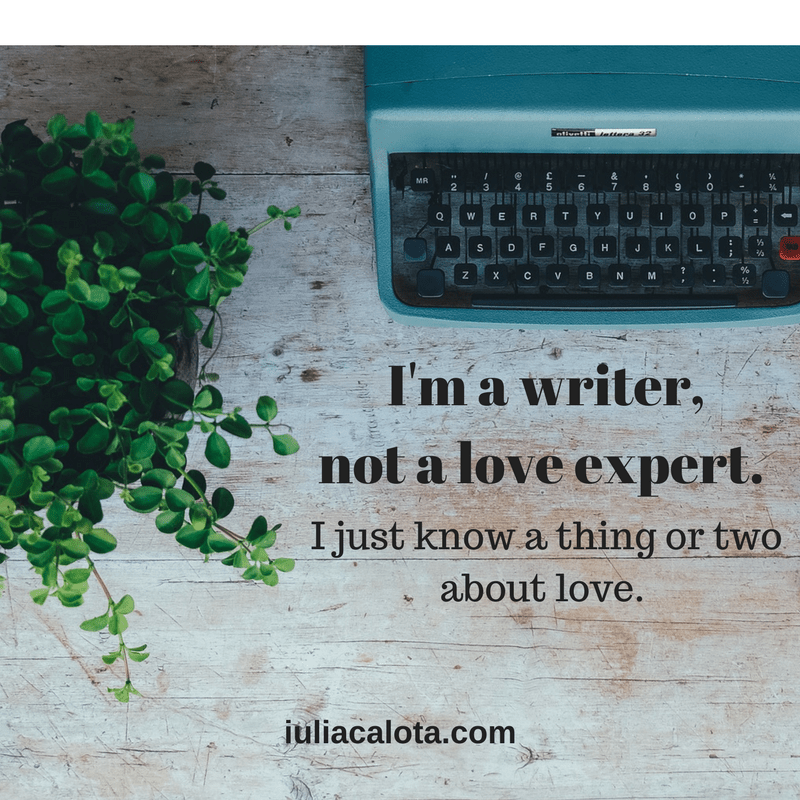 I may know a thing or two about love because I figured it out for myself while conducting The Love Project, but that doesn’t make me a love expert. In fact, I’m not an expert at anything, and I’m cool with that. I love learning and figuring things out. That’s what my curious creative mind needs and wants. And I love sharing my epiphanies with you as I go along. So I’m planning to stick to what I love doing: just write. For fun and for pleasure. And sometimes for very good editing reasons. But write nevertheless. As I said, I am a writer, NOT a love expert (not even an accidental one). But I do know a thing or two about love. If you DO need/want help with running your own Love Project, give me a shout and I’ll share my wisdom with you. Also download The Love Project Workbook and Join The Love Project Facebook group. Or just find love your own way. Or don’t even look for love. I don’t mind. But it would make me very, very happy if you enjoy reading what I write.